Packaging Dimensions 4.25 in. x 0.598 in. x 1.89 in. Quick and dirty way to test Different speaker combinations between amplifiers that use a 1/4" out. Excellent for testing guitar pick up ~k ohms, when used with a multi-meter without surgery. Of course, they are fine when used as directed also. This was exactly what I needed to connect my Orange Micro Terror amp to the speaker in my Fender Blues Jr. Asked by Anonymous on November 17th, 2015. The positive lug will be the lug with writing on the wire. The negative will be the unmarked black wire. There was no marking to designate the positive and negative wires. However, with the aid of am ohm meter I could touch the tip of the plug with one end and whichever speaker wire lug sounded the beep on my meter for continuity was the positive lug. Likewise for the ring of the plug which designates the negative wire. I believe that the positive wire has a ridge on the outside of the wire ! If you have a combo amp and want to use this with a head, then you would connect/solder the spade lugs to the speaker in the combo amp and then connect the 1/4" plug into the back of the head. The wire is 18 AWG. Asked by Anonymous on November 21st, 2018. 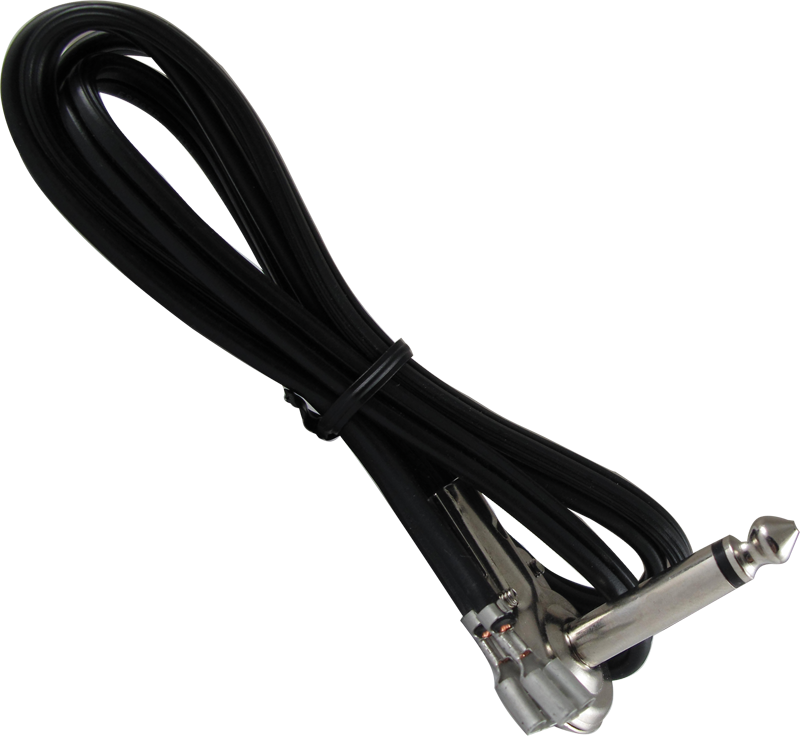 Yes, this is an ideal cable for your amp.